So the ingredients arrived and I made my cake as per the recipe that was sent to me. And err forgot about it for a couple of days and it went all hard and horrid. So I remade the cake. And a cat ate it. Look, basically after about the tenth time of remaking the cake I gave up. It seemed that the recipe and ingredients were against me and I just couldn't face it anymore. Plus I'd run out of flour and eggs. 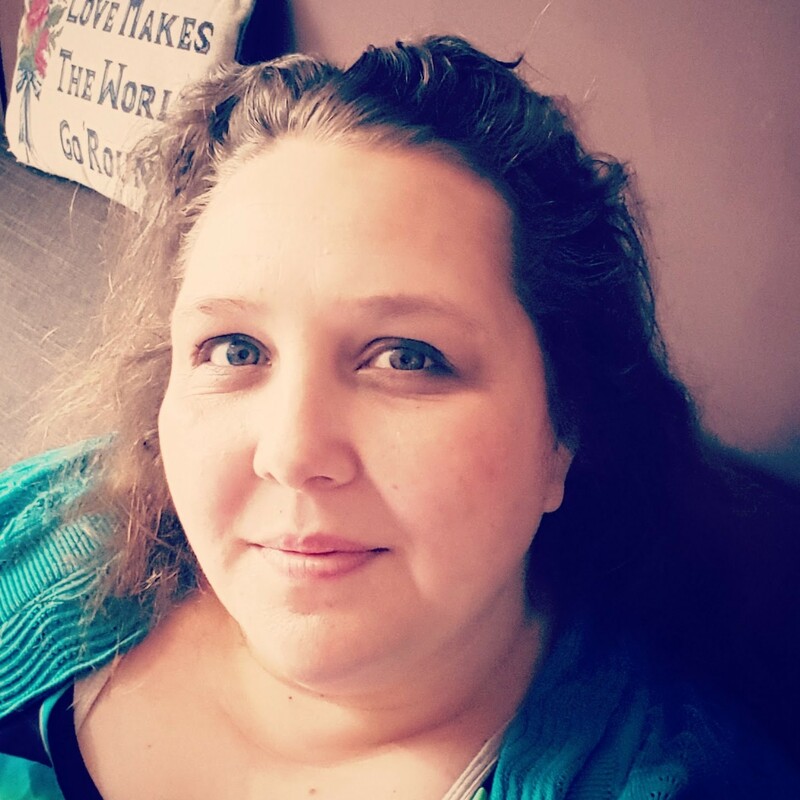 And then for ages I didn't do anything about it and what seemed like everyday the children were asking me when they were going to get their cake pops. What could I do? Yup, I just melted some chocolate, in a bowl over a pan of water (the old ways are the best ways) and then dripped the melted chocolate into a circle on some greaseproof paper. I stuck in a lolly stick into each circle and got confused over how many I did (I thought I did eight, but counted seven when I put in the sticks in and recounted to make eight! 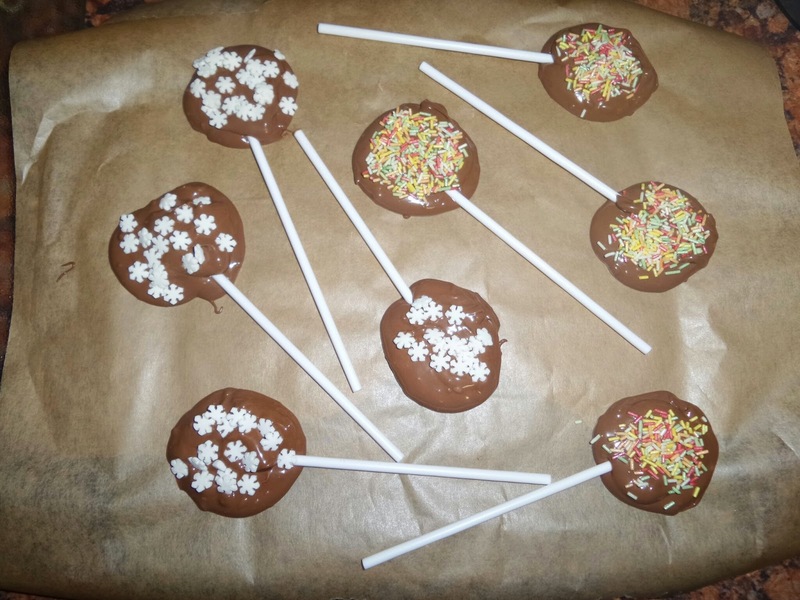 ), added some chocolate over the top of the stick so that the lolly stick wouldn't come free in the first bite and then decorated the circles with sprinkles before putting them in the fridge to set. After about ten minutes I went to check the lollies. They weren't set. I was starting to worry, surely these lollies weren't going to go the way of the cake pops?! The next morning I checked again. Perfectly solid chocolate lollies. One of each kind for the children, Daddy and I. So there you go, we did get to celebrate National Chocolate week, just not during the actual week, or with cake pops! I was sent the ingredients to make the cake pops but made chocolate lollies instead!